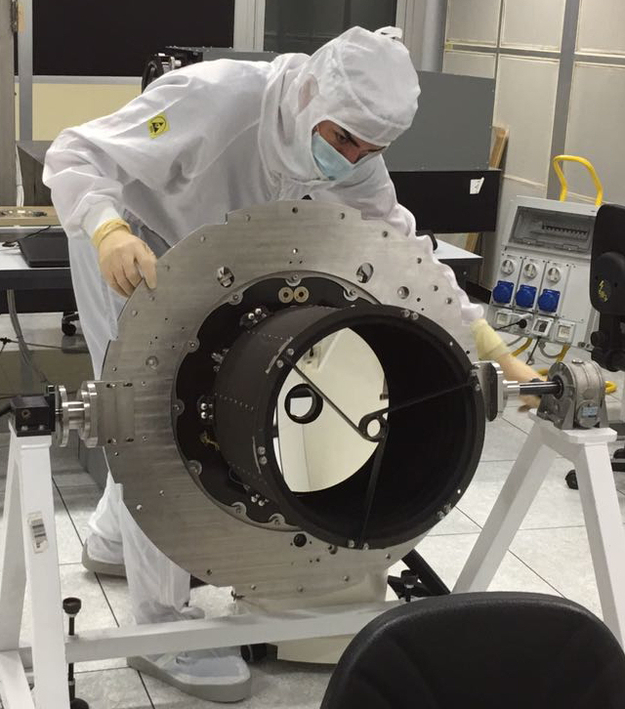 An engineer prepares the CHEOPS telescope for alignment at Leonardo-Finmeccanica in Florence. The black telescope tube is mounted on a custom-built, metal reference plate that allows the engineers to define the reference coordinates for the optical system. Inside the telescope tube, a hole at the centre of the primary mirror can be seen – the secondary mirror will be mounted in front of this at a later phase of the alignment procedure.